What does it take to make change happen? A forward gaze and a lot of determination. The Charlotte Valley Central School superintendent made energy savings a priority when he came to his job nine and a half years ago. It also mattered that the new energy source be as green as possible. 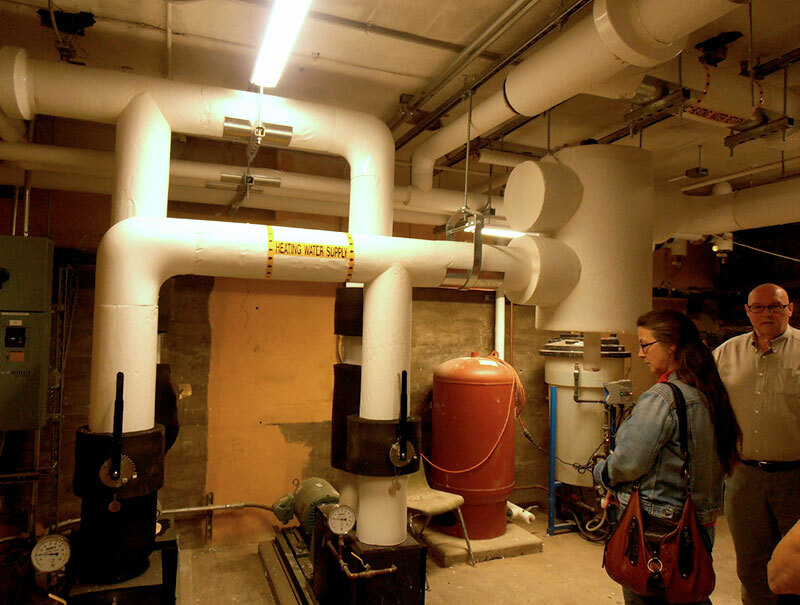 Built in the 1930s, Charlotte Valley Central School (CVCS) had been buying 35,000 gallons of oil a year to run its steam heating system, at a cost (less taxes) of $2.80 per gallon. The average price of oil was going up about thirteen percent a year. Wielding facts and figures, Dupra organized a steering committee to examine the district’s building and energy needs. That committee, despite dealing with a fair measure of angst, eventually convinced the CVCS school board and the community to approve a building project that would switch to geothermal heat. The make-over was not going to be cheap. CVCS has over sixty classrooms. The air ducts throughout the building had to be retrofitted, and one or two heat-exchange units installed in each room, depending on the room’s size. 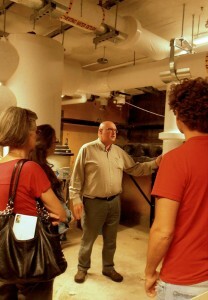 The ancient boilers had to be decommissioned and removed from the basement. The electrical service for the entire school complex had to be upgraded in order to power the heat exchangers and the big pumps that circulate the heat-transfer fluid throuh the vast, closed loop of pipes, bringing fifty degrees up from the ground even in the dead of winter. Using the same technology that a refrigerator uses, heat is extracted from the fluid and circulated throughout the rooms of the school. In the heat of summer, the system automatically reverses to create air conditioning (AC). “AC is usually expensive,” notes Dupra, “but ours is very moderate,” as the cooling part of the system was installed at essentially no additional cost. All the retrofitting (indoor work) was done while school was in session, so kids and classes did get moved around a lot. But the greatest disruption was the creation of the bore field (outdoor, digging work) under the school parking lot. That work began during the preceding summer. A test well was sunk to be sure that the site was suitable, as large amounts of drilling has been known to interfere with underground aquifers, and in fact, CVCS’s water did show some disturbance at first but not enough to cause concern. Forty bores were drilled, each four hundred feet deep and fitted with inch and a half diameter pipe, which were then connected to a horizontal network of three inch pipe laid across the parking lot, about eight feet below the surface, to carry the circulating fluid (80 % water, 20% food-grade glycol) to the pumps in the school basement. All this was covered with fill up to grade, and then allowed to settle over the winter. Dupra notes that this waiting period added to the overall expense, but was well worth it as the ground was firm and flat when it came time to pave it over with asphalt the next spring. Today, you’d never know there was anything but soil below all those parked cars. By now, despite a forty percent rise in electrical costs and the fueling of a propane back-up system that also heats the gyms, the energy savings have exceeded expectations, at least $125,000 in three years. In addition, there has been a big reduction in maintenance costs, particularly without those cranky old boilers. Finally, there’s a geothermal “assist” in the heating of hot water. So why don’t more schools and public institutions make this green and money-saving change? No doubt it’s because the initial outlay is so intimidating, especially in a weak economy. The total cost of the project came to nearly $8 million, three fourths of which was the heating system. “But,” Dupra says, “because we’re a ‘poor’ school, state aid covered eighty percent of the total.” The other twenty percent, or $1.5 million, was borrowed through bonding. « New Franklin Register #21 » Marcy South: Not Again!